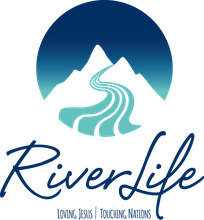 Nick and grace turner became lead pastors of riverlife in November 2017. apart from leading other churches in the uk (where they are from) they also together lead firelighters, which is a missionary sending organization which they started in 2000 after many years of student ministry. nick was a lawyer for thirty years and worship leader for much of this time. Grace is an international speaker and writer. Bob is currently the associate pastor of RiverLife. After spending 10 years church planting in Central Asia, they then settled with their 2 kids here in Lilo's home country. Both Bob and Lilo have the desire to see people's broken hearts healed through the transformational power of Christ's love for them. Christ in their everyday life. Martin Murigi is currently RiverLife's youth pastor. Martin and Melanie served with Word of Life, a christian youth ministry in Kenya for six years before proceeding to the United States to pursue Theology and Biblical Counseling at a Masters level. They are now settled here in Switzerland with their three kids and their passion is to see people coming to the saving knowledge of Christ, to grow in the knowledge of Christ through his Word, and to reflect Christ to all.